This to to follow up from my online trading thread. So Mark if you could give a bit more details with the example PC build details. 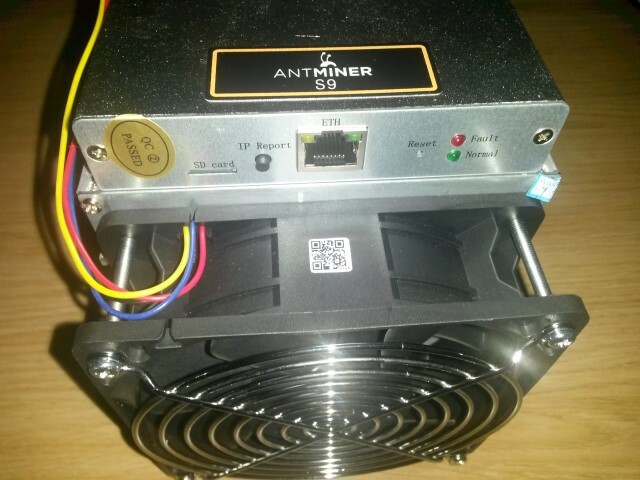 Which currencies are better to mine and if you can or if it's recommended to run several at the time to spread the risk. How fast internet do you need or anything else you think I should know. I'd be interested to know if you need a high-end CPU to go with the GPUs or whether the GPUs do all the work. I've got some old HP Proliant servers kicking about which can take half a dozen PCIe cards so it'd be nice to make use of them. Hmm the Proliants would only take two of those double-height x16 graphics cards. Is that worth it? Last edited by MikkiJayne; 26th June 2017 at 03:26 PM. While we wait for Mark to share his experience I will share some of my thoughts, it's just a gut feeling so nothing certain. 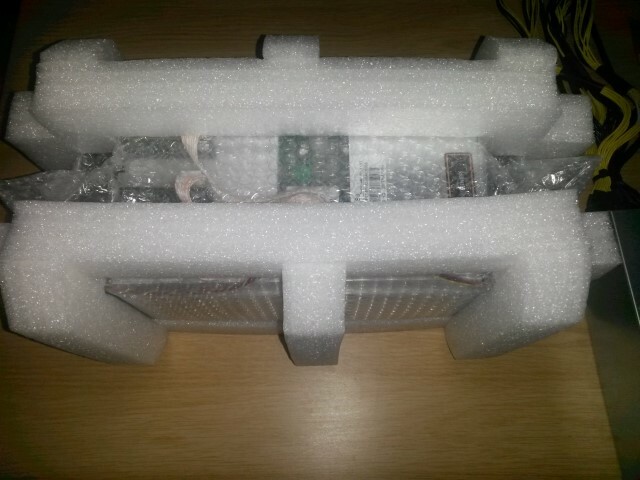 I think you do not need high end CPU but at least half decent to feed the data t and from GPU's. When you look at old servers besides CPU's you need to consider amount and bandwidth of RAM and speed of PCIe bus, ist it gen 1, 2 or 3? And older tech also tend to be less power efficient so it might be wiser to invest in newer kit. I for example updated old Dell PowerEdge server with a new HP Mini server and power consumption went from over 300W to less than 50W in iddle while offering slightly more computing power. And it never does over 100W while the old one would go over 600W when pushed. 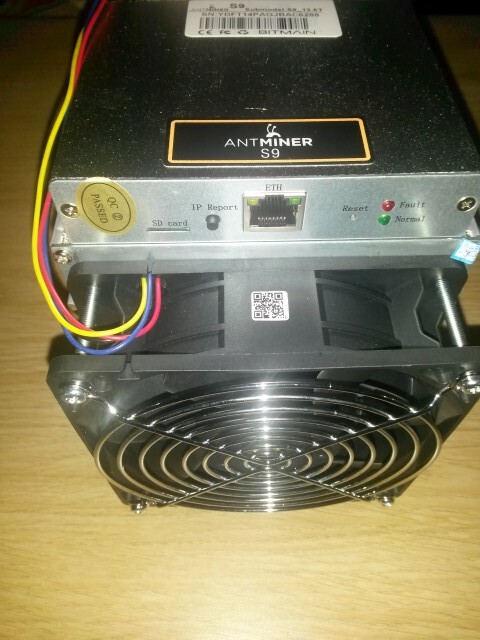 I understand that on mining rig power consumption will be a lot more but still if it s 750W vs 1000W it makes sense to buy new kit. Is that because of business rate or just down to location? Last edited by ainarssems; 26th June 2017 at 03:51 PM. I've been involved in cryptocurrencies for a few years now and had various discussions about it on some of the IT/tech industry forums I participate in. So to save me a lot of retyping, I'll start by copy-pasting some of the posts I made there. 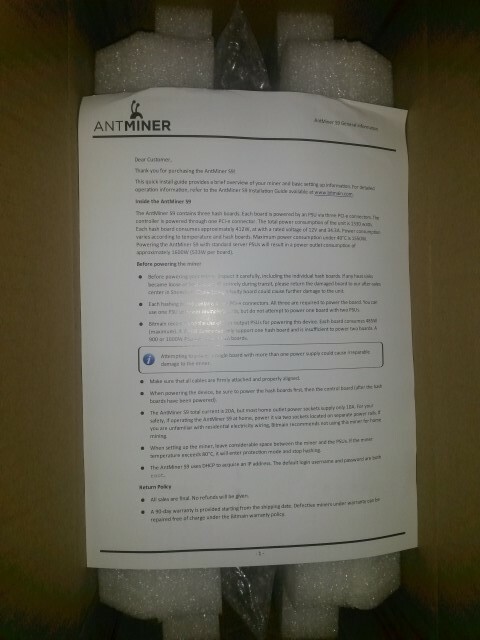 So the Antminer S9 arrived at the end of February, a few weeks earlier than expected. 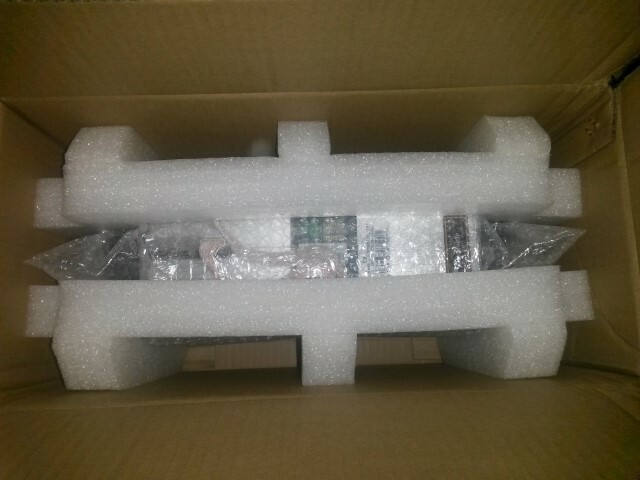 Shipping for this batch wasn't due to start until March. Since I had placed the order less than a month earlier (4th Feb), I assumed I'd be at the back of the queue and expected to have to wait until at least the end of March. 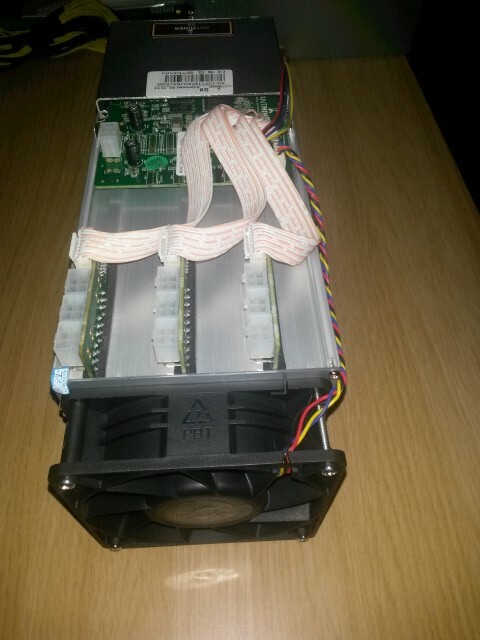 So this thing is presently heating my workshop while I experiment with different mining pools for the best profitability. I usually use electric heaters in my workshop but the S9 pumps out more than enough heat alone to heat it. In colder climates (like the UK), used as a space heater it costs about the same to run as a small electric fan heater (around 1300W, I believe). Bottom-line profitability of course depends on electricity costs and the present Bitcoin value (or whatever cryptocurrency you're mining) but even with the relatively high UK electricity prices it seems to be able to manage to generate about twice as much as it costs to run. 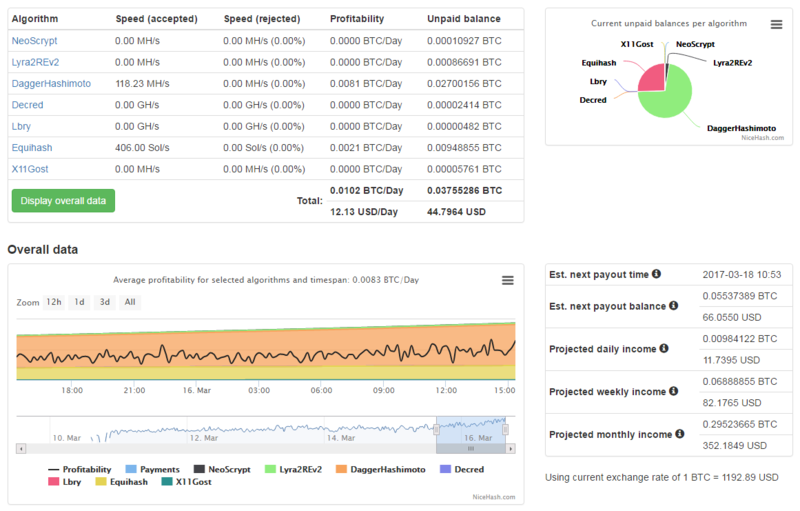 It's too early to get a good mining average yet, but it seems to be able to achieve at least 11mBTC per day (presently around £11 or $14), which equates to over £300 ($370) per month or about £4000 ($5000) per year. So if, like my customer, you have a free source of electricity, or you use the thing as a heater, ROI is about 6 months, otherwise it's more like 12 months. One point I should mention is that these things are quite loud when running! Not unbearably so. 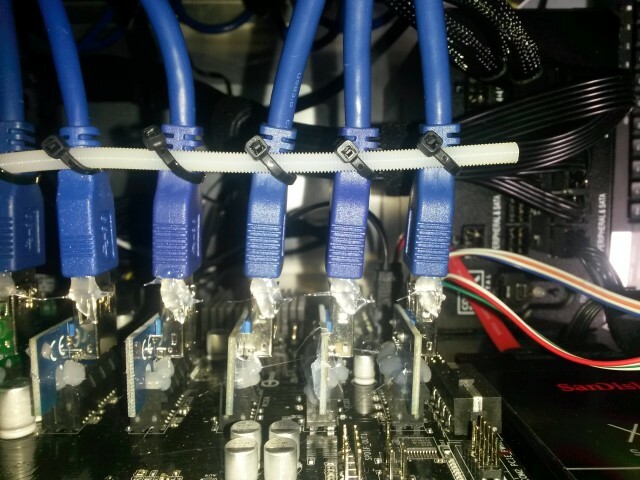 They're louder than a typical rack-mount server but a little quieter than the average vacuum cleaner. You can hold a conversation in the same room as an S9 fairly easily. If you're in a place with electric heat or free power (e.g. solar, wind or hydro that's not feasible to sell back into the grid) then these could make all the sense in the world. Would be interesting to see one of these set up tied to a thermostat - need more heat? Crank up another core! Depending on the setup you might also be able to mount it to allow vertical airflow and get a bit of simple convection cooling, but that may crank out too much heat to do without the fans anyway. You can also do a limited chimney at the output, the rising hot air can actually pull air through faster for better cooling. Precisely our thinking. As you say, if you generate ample electricity that you can't sell back to the grid (which is often the case) or you can make use of the heat, it becomes a no-brainer. My customer falls into both categories. They also have an ORC generator on-site and numerous solar panels. They're very excited by the results so far and they're already doing the math(s) and considering investing in many more rigs (and possibly more solar panels!). Installing these rigs for bushiness customers could prove to be very lucrative! Ready-made unit. Purpose-built and comes with a 12 month warranty. 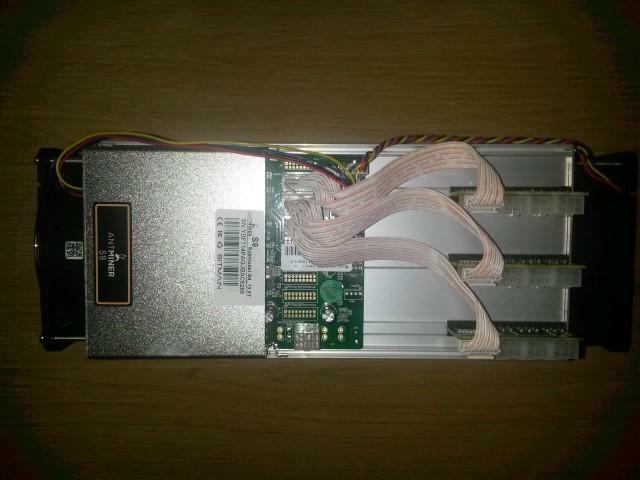 The most energy efficient ASIC miner available (~1300W). Likely to have a low residual value in future. The GPU rig probably pumps out a similar amount of heat to the S9. We haven't had chance to measure the electricity consumption yet, but we expect it to be comparable too. Noise-wise it's much quieter however (depending on choice of fans) -- not really any louder than a high-end PC. But, perhaps more importantly, since it uses off-the-shelf parts, its residual value is much higher. 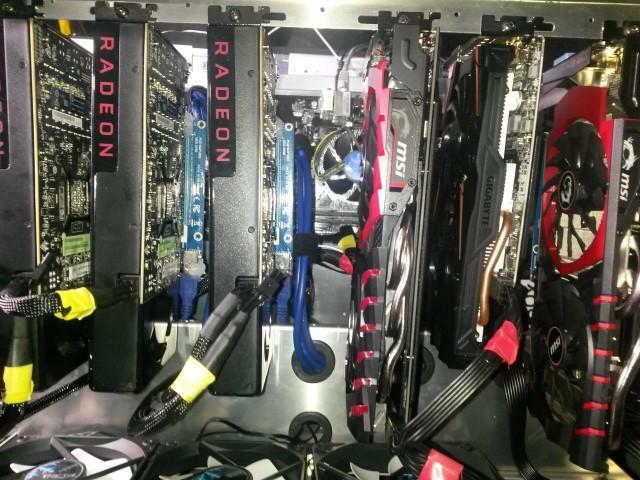 The used prices of these high-end graphics cards are very high. The S9 does its job very well, but it has no other purpose or value if it becomes no longer viable to mine with. Good residual value (of parts). Large & bulky (Takes up about 4 times as much space as an S9). 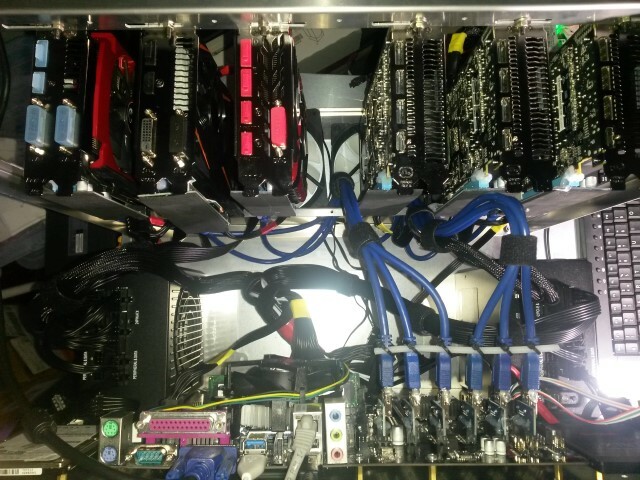 For a home/office mining rig/heater, the GPU rig probably makes the most sense, whereas the S9 is probably best suited to larger operations or warehouse mining farms. 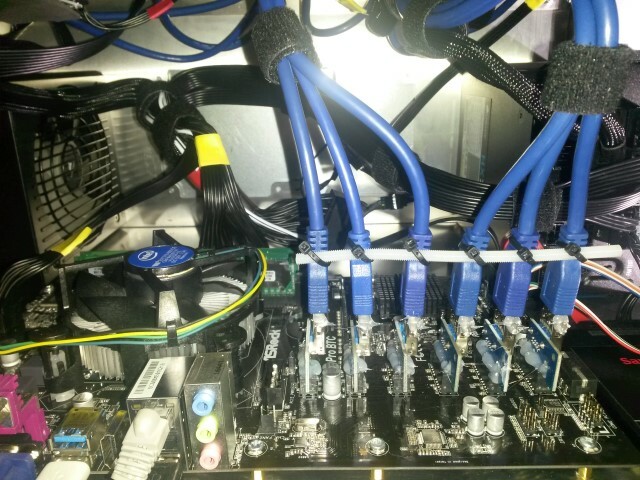 I have built a lot of PC's over time so GPU rig is definitely more for me, can you share some configurations that you have built either for yourself or customers. And the software, algorithms to get it running ( hopefully on Windows but other OS are possibility if not too complicated). Do you mine several currencies or use different algorithms on the same rig or is it one thing on each? I understand any config would be fairly loud and while I would like to use heating effect in winter I think the rigs will need to be in garage. 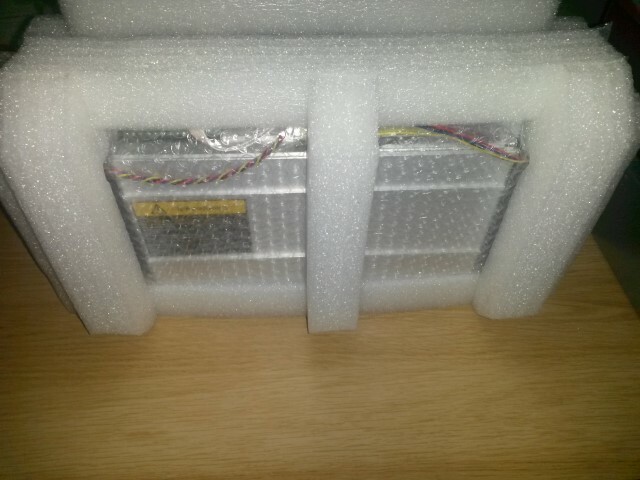 I have old PC that I barely use with Q6600 @3.6GHz, 8GB RAM and GTX760, would it be suitable for testing purposes until I put something more suitable together or would it consume more in electricity than generate? 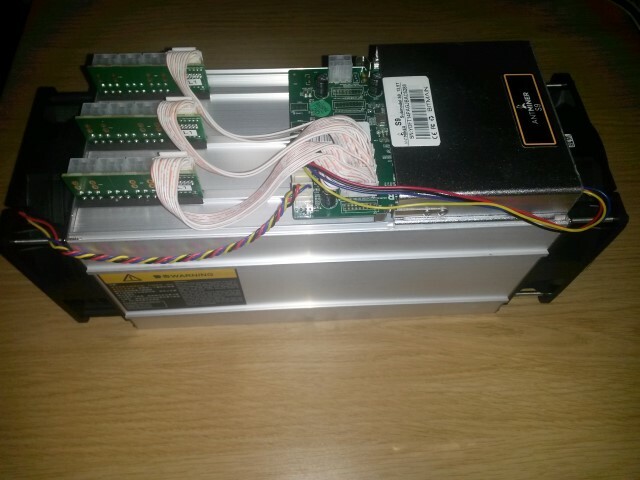 Sorry, missed your last post before reply, it seems more bitcoin orientated, what about mining other currencies? Just to add, if like most people when they first discover cryptocurrencies (myself included here) you think they're a fad or 'geek money', or you struggle to get to grips with how they can have any value, I'd highly recommend watching some of Andreas Antonopoulos' talks. He has a couple of books on the subject too; one that's aimed at everyone, called 'The Internet of Money' and one for much more technical readers called 'Mastering Bitcoin'. This is a very interesting interview with Andreas on London Real. This is Part 1. Unfortunately it seems like you have to register with London Real to watch the entire interview but registration is free. 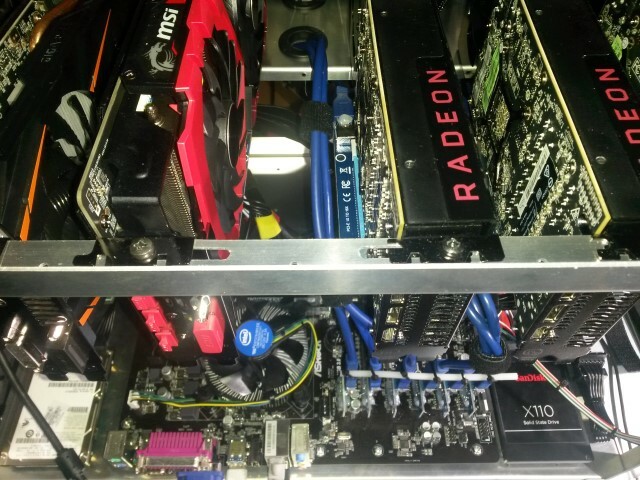 So the RX 480 is not available any more with RX 580 taking it's place. Would it make any difference to mining whether it's 4GB or 8GB version? Also can you recommend motherboard&CPU on how much RAM would it need? I've just been reading about all this, pros and cons and I don't think it's for me, been interesting though, is it really that profitable overall though?